Add a flair to your home with a statement piece. Literally. 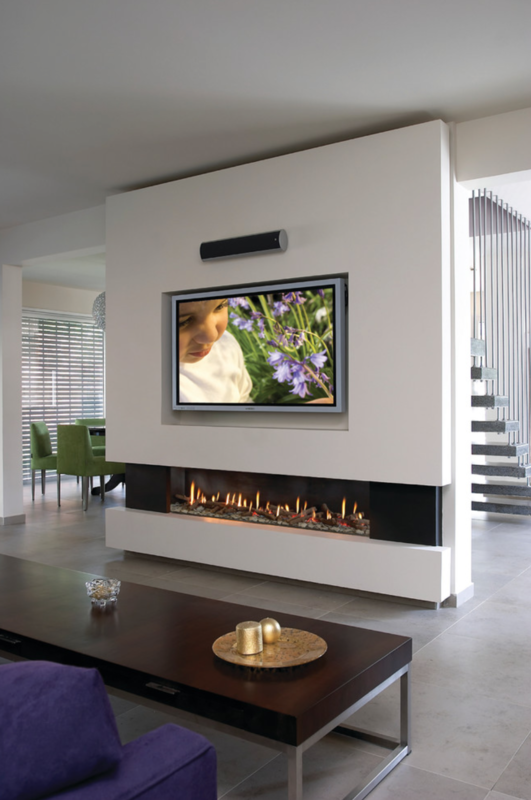 Contemporary fireplaces by Ortal heat up your home’s interiors in temperature AND in taste. The direct-vent gas fireplaces are created with new fireplace construction technology making it possible to integrate the structure into your home without disturbance to your original space. 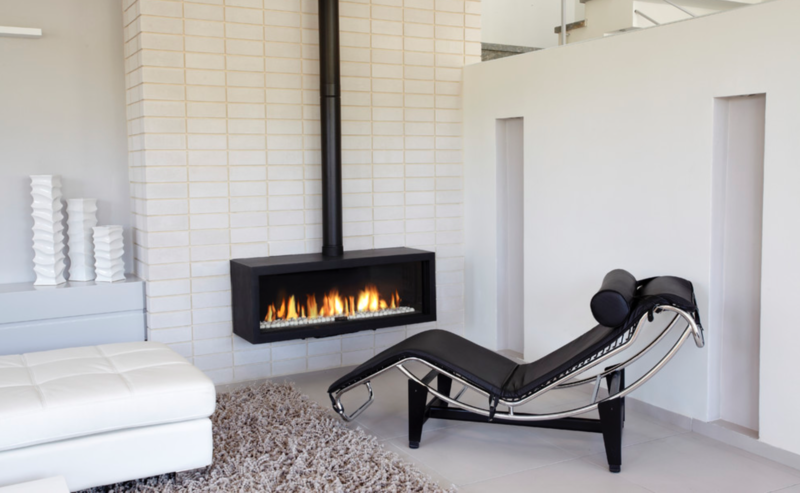 The European fireplace design trend of bold, modern gas structures is being seen more in the U.S. Beyond the luxurious heating aspect, these fireplaces work as a focal point that bring beauty to the home. 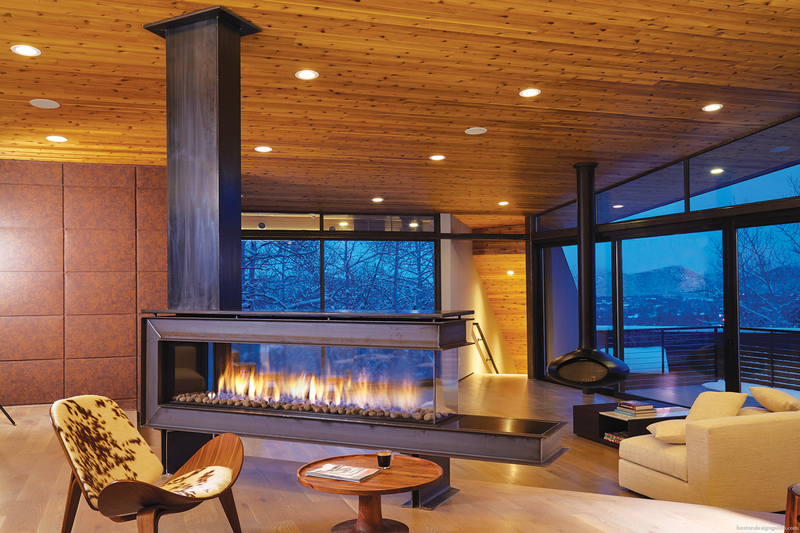 Lowe offers tips to choose the best fireplace fit for your space. Where do you want your fireplace? Gas direct-vent fireplaces can be placed into an exterior or interior wall, or can stand alone with an exposed stovepipe. For a fireplace in two adjoining rooms, Lowe suggests installing a two- or three-sided enclosed-glass fireplace. This will create a dramatic see-through effect. 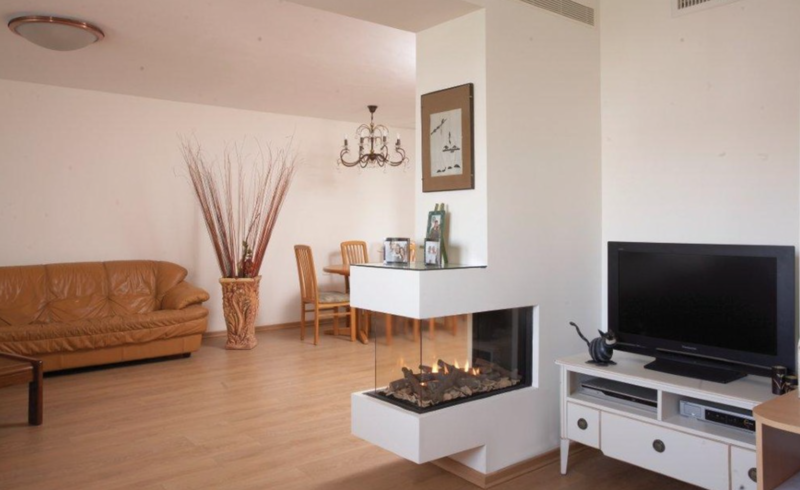 (above) This contemporary fireplace heats both rooms while taking up very little space. What other features, if any, will be adjacent to your fireplace? ‘Cool wall’ technology allows artwork or even a TV to be placed above the fireplace (with a required clearance of 12 inches), as well as, shelving or cabinetry structured on either side without harm. “Having a fireplace in the wall doesn’t have to limit your use of space,” Lowe says. Include installation costs when determining your budget. These costs vary greatly depending on where you want your fireplace and what type of model you choose. Learn more about Ortal's luxury fireplaces.